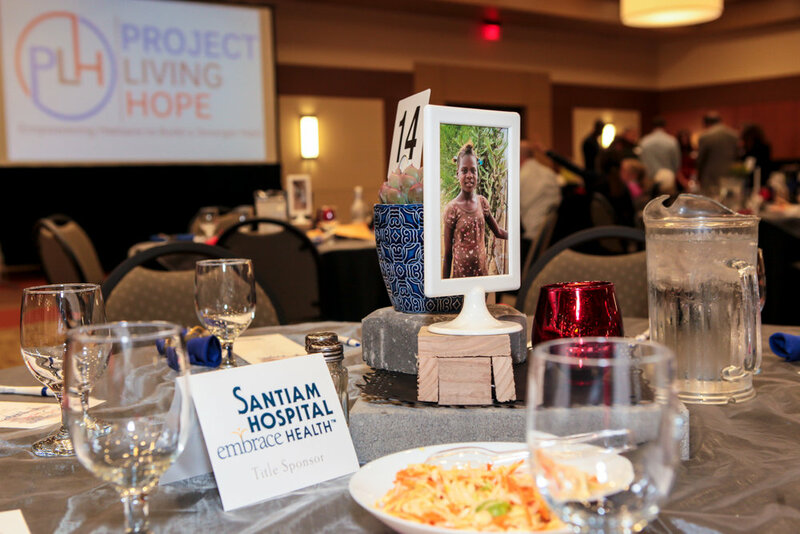 Thank you to everyone who attended our Haitian dinner fundraiser last weekend! 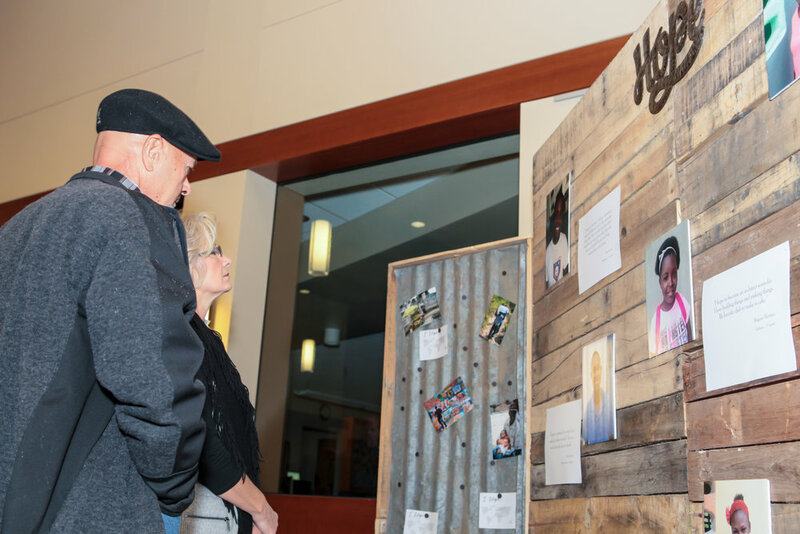 We welcomed 217 guests, used 44 volunteers and raised nearly $35,000 in one-time gifts and 3-year pledges. We call you our champions because you champion our cause to Empower Haitians to Build a Stronger Haiti through your hard work, prayers and giving. I’ve already made new connections at the dinner that are developing into programs to benefit the Haitian people. It is so exciting to see how God works through people who are willing. We gave some updates about our latest trip at the dinner, but I wanted to fill you in on a few more details. If you look back at Sara’s blog post from last week and Jerry’s the week before, you can see that many things are happening. We are finalizing the purchase of land in Camp Marie, while also looking at new programs that will benefit that community. Once the land is finalized, people from the town will start the road. At the dinner, when we shared about the need to build a road, it made some of our champions worry that the property might be too remote or too out of the way. If you look back at the map Jerry posted, you can see that the property is only about 1⁄4 mile off of a major highway. Route 1 is one of the biggest and nicest road in Haiti, connecting the largest cities in Haiti. So, even though a road needs to be put in, we are centrally located and, in fact, very easily accessible. As we look to develop relationships with the community and start working toward opening our jobs skills training program, we are focusing on English training and automotive skills. When we asked the local community leaders what skills they believed their students needed to be trained in to secure employment, they said they wanted to be trained in English, computers and auto-mechanics. The local hotels need employees that can speak English and be familiar with basic computer skills, such as how to email or use basic computer programs. Our hope is to start by working in the evening in the local school in Camp Marie educating young adults on the English communication skills necessary to work in the hospitality industry. Although Haiti is a poor country, the resorts attract many foreigners who mostly speak English and French. Most Haitians speak French, but they need some help with English. By providing this training, we can empower them to secure the employment they need to provide for themselves and their families. We are developing relationships with the local resort managers to work toward securing internships and job opportunities for our students once they are fully trained. We also want to focus on training students in auto-mechanics and will work toward developing this area after we have secured the land. In the meantime, if you believe you can help us toward our goal of developing this English program, we would love to hear from you. You can email me directly at sarah@plhope.org. please save the date for our next fundraiser at the Keizer Civic Center on September 29th, 2018. Your investment in Project Living Hope will make a lasting difference in the lives of the Haitian people.